Beautiful approx. 2300 sq. 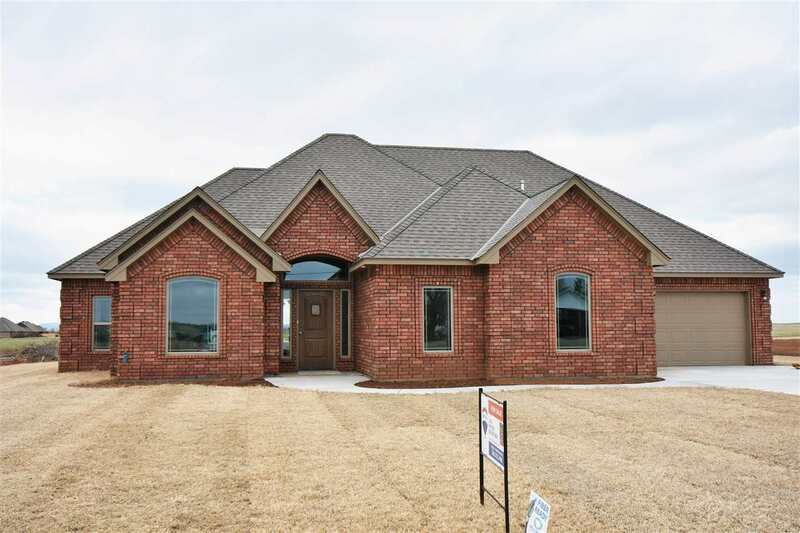 ft., Fillmore style new home with 4 bedrooms, 2 1/2 baths, plus formal dining room or office. Open floorplan with nice kitchen with granite, stainless appliances, pantry, breakfast bar, and custom built maple cabinetry. Natural gas range, heat, gas log fireplace, and hot water heater for energy savings. Storage locker in guest hall for added storage. 2 of 3 guest rooms have walk-in closets plus built-in cabinet or dresser. Located on 3/4 acre lot with 10,000 ft. of sod to be put down. 1 yr builder&apos;s warranty provided. Dining Room Size: 12&apos;1" X 11&apos;0"
Kitchen Size: 15&apos;2" X 11&apos;3"
Living Room Size: 18&apos;5" X 17&apos;9"
Master Bedroom Size: 14&apos;8" X 13&apos;7"
Utility Room Size: 7&apos;7" X 5&apos;7"